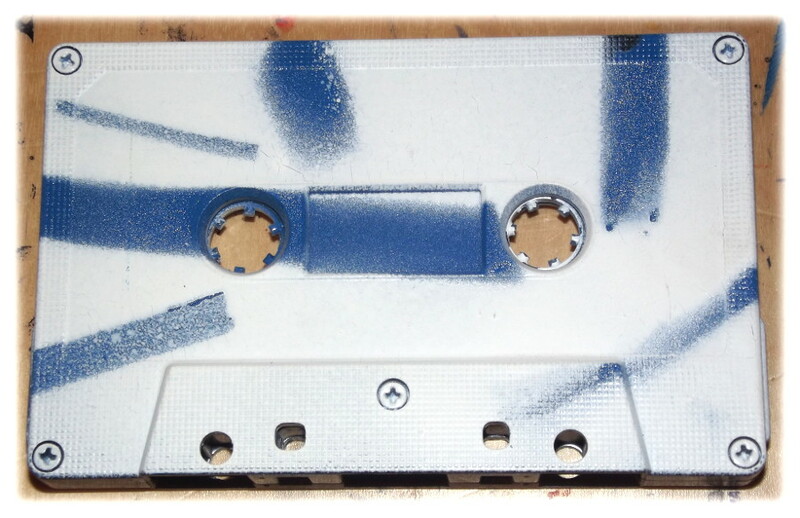 Another gorgeous cassette tape from Rinus van Alebeek which we received 11 June 2015. 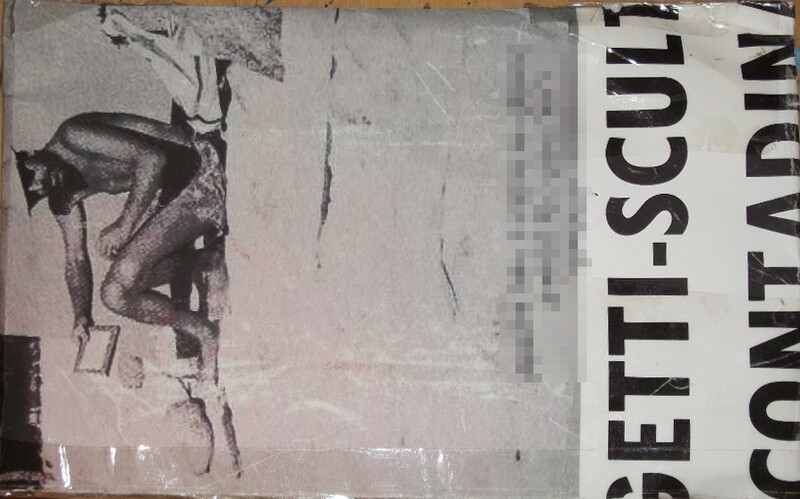 This one is so obscure it doesn’t even appear on his website, may not have a title, and only exists in an edition of 18 copies. 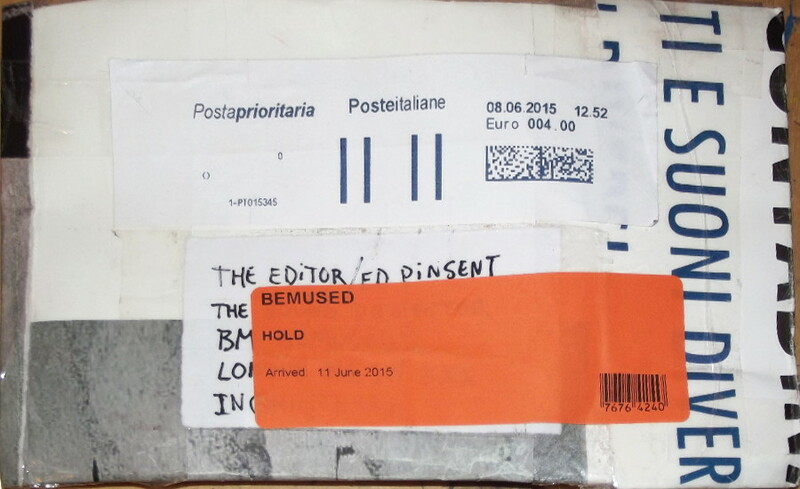 “Most of it will be sent to friends anyway, or traded for a second hand book”, reports the artist in a letter. “For the joy of sharing”. 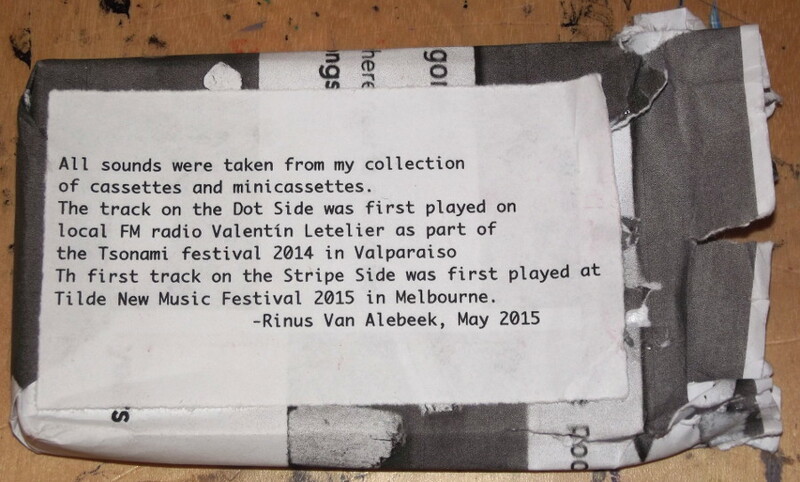 A printed note on the cassette cover identifies the festivals where these works were performed in 2014 and 2015. 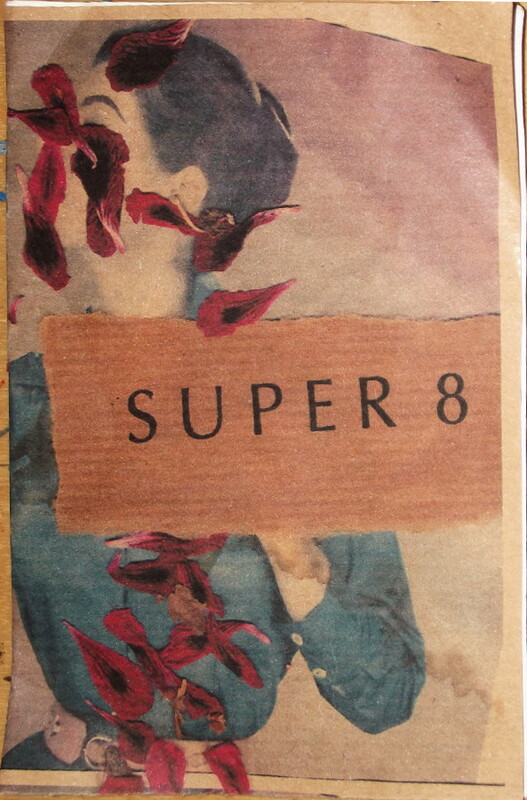 My copy arrived with a short book of collaged images and poetic texts, called Super 8. 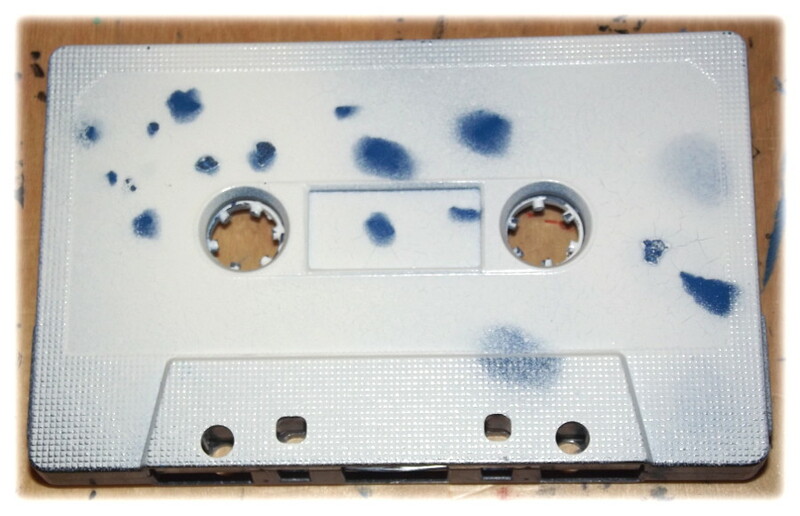 The work has been assembled from Rinus’ collection of tapes and is another fascinating collage of audio elements assembled according to a dream-like logic; one element follows another with no apparent attempt to make sense on a conventional level, or even to create specific sonic correspondences. I always sense that Rinus van Alebeek has little in common with “formal” composers, and that in a test scenario a proper electro-acoustic musician like Pierre Henry or Bernard Parmegiani would have come up with something entirely different, even if given the exact same set of materials to work from. I suspect that their versions would have been stiffer, more structured, more classical; much as I love them, composers from the French school of Musique Concrète are always trying to tell us something, and quite often the messages turn out to be quite lofty instances of philosophy or high-minded intellectual elaborations. Instead of telling us something, it always seems to me that Rinus is trying to find out things, exploring or discovering an aspect of the world which he regards as a mystery, and not proceeding with any foregone conclusions in mind. 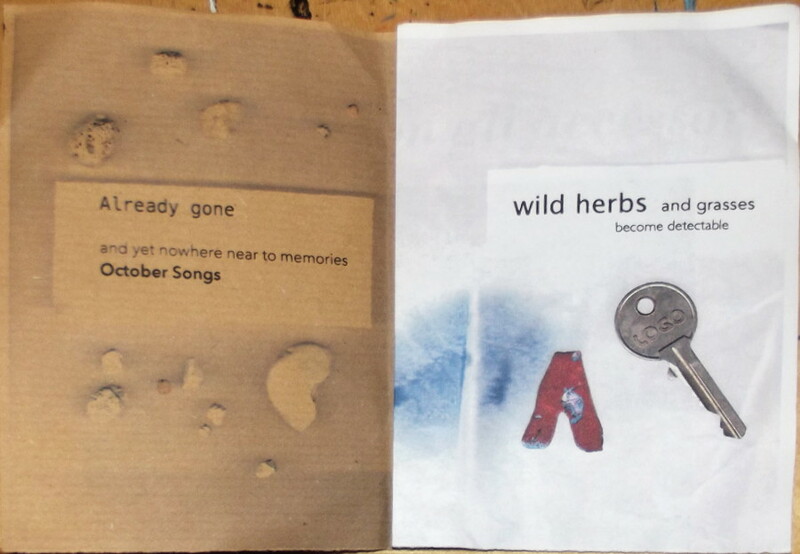 This sense comes over very strongly on the present tape, whose strange semi-narrative and peripatetic nature slowly uncovers unseen and unheard things, and manages to leave them intact and alive, rather than immediately inserting them into the killing-jar, like captured butterflies seized with tweezers. I’m not clear how he achieves this, but I suspect it’s due to a certain unique sensibility in the selection and assembly process, following intuitive decisions, fragmenting and slicing the content along unexpected fault-lines, allowing mistakes and imperfections, and generally being guided by a creative trance-state which the process of more formal composition might not allow. If this is halfway right, then it’s useless to catalogue any of the sounds on offer here, though it’s possible to identify snatches of railway sounds, spoken word, pop music, samples from television or films, other field recordings. 1 But so many of the sounds are just plain unfamiliar, impossible to guess at, and in any case have such an unalloyed beauty that it feels wrong to try and re-place them in the real world. Through selection and juxtaposition (not so much processing of the sounds), Rinus van Alebeek continues to reveal hidden faces of the world around us. 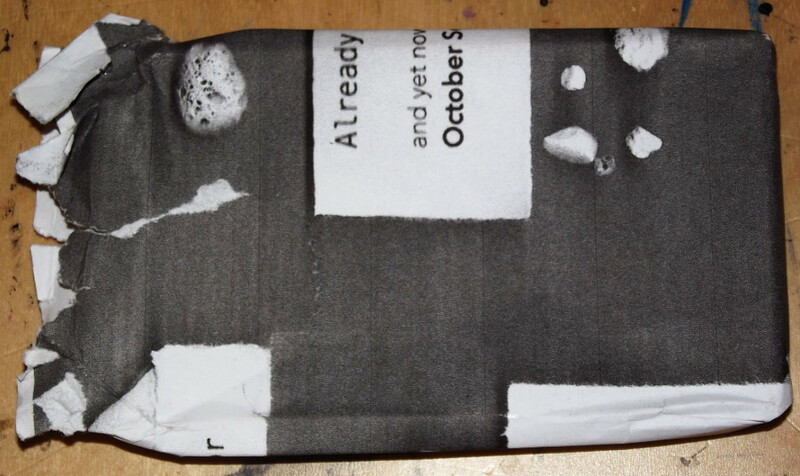 In case I’ve never likened this composer to Joseph Cornell, now seems an appropriate time to do so. 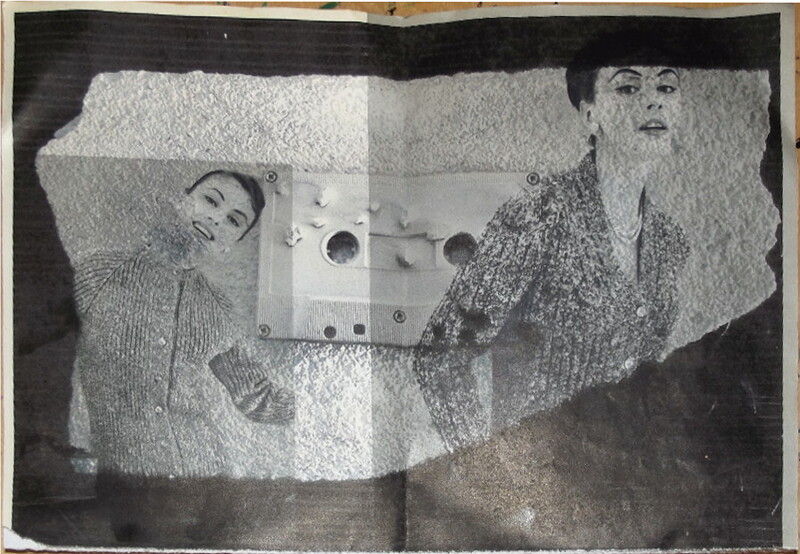 I don’t just mean the collage technique; Cornell was adept at awaking a strange nostalgia in the audience, and not just through the use of “old” source materials in his collages, boxes, and films; he was somehow able to tap into past history directly, and fetch back fragments from his voyages that caused instant heartache when seen. Often, one feels a nostalgic longing for experiences that never even happened. Is this even possible? If you’ve ever felt similar strange sensations in the face of beautiful and inexplicable art, Rinus van Alebeek will make you feel at home.